go toward W2 Media Café’s community education programs on healthy eating and local food security. Dinner tickets $15 at W2 Media Café or www.w2mediacafe.org. 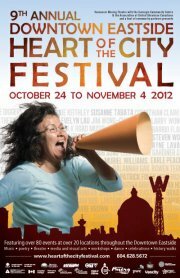 This event was on a Pre-Festival Day of the 12 Days of the Heart of the City Festival. Please check the website for more events!